Quality wall mounted hammock by Trixie. This hammock can be used independently or combined with other Trixie cat furniture. 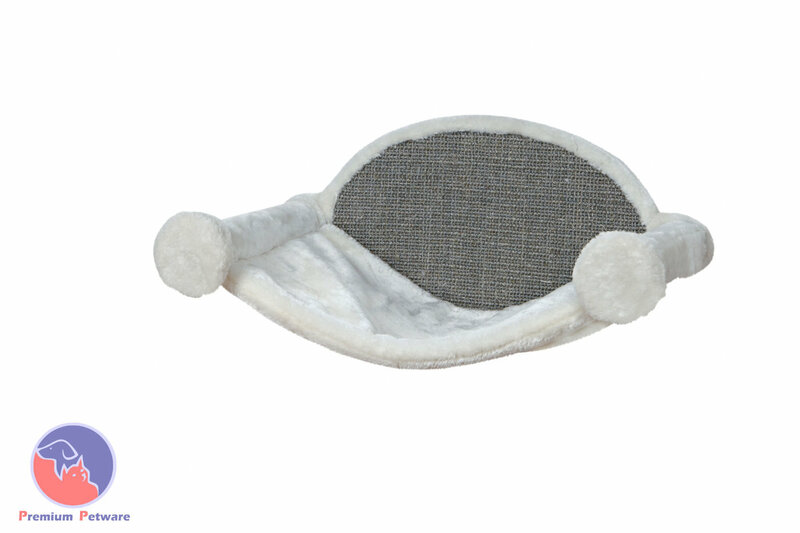 Wrapped in cream plush with grey sisal material, this hammock is screwed to the wall at both ends, offering versatility particularly for small spaces or creating safe and interesting positions around the home for your cat to escape ground dwellers. Can be combined with our other wall mounted items for a complete off-the-ground wall mounted system. May require the use of a stud-finder to locate the wooden framework within the wall to screw into, or you could use screw-in plasterboard anchors (available from all hardware shops). Wood screws are included in the mounting kit.